Showing items tagged with "business email etiquette" - 24 found. Good business email etiquette is one of the quickest ways to stop email overload. Proper business email etiquette enables you to convey the right message, right first time. This reduces the chance of a misunderstanding and hence email war and endless rounds of email ping-pong. will help. You have less than five seconds before the recipient has formed an opinion of you for better or worse. 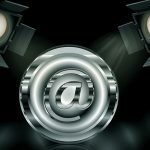 Poor email etiquette can damage your reputation in a nanosecond. 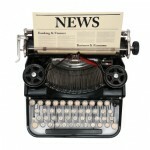 Proper business email etiquette grabs their attention substantially increases the likely-hood of a timely response. 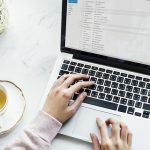 Based on using brilliant email etiquette, here are today’s four steps to reduce even further the level of email overload and hence keep the inbox clean and empty. Use our special free email Business Etiquette Check List to benchmark your email etiquette. Where and how can you improve? Are there any email chains which could have been prevented if you had either communicated more clearly or planned ahead? What lessons can you learn from these? Ask yourself, what image am I conveying of myself? How clear and concise is my email based in the checklist at Step 1. 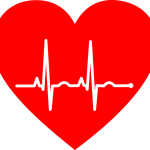 Did you include an adequate greeting and closure to entice the recipient to respond properly? 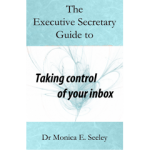 For more tips on how email etiquette can help you achieve an empty inbox and reduce email overload see Brilliant Email chapter 12 and ‘Taking Control of Your Inbox‘ chapter 11. Be bold. If you receive an email you cannot understand on the first reading, ask the sender what they are trying to say. Send them a link to our Email Etiquette Checklist. 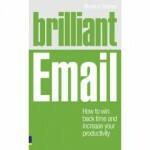 Share your progress; Email; Facebook: Twitter (using #cleaninbox) There is a prize for the person who has used email etiquette most effectively (a copy of ‘Brilliant Email‘). Share your progress; Email; Facebook: Twitter (using #cleaninbox) There is prize for the person with the best way of keeping track of emails on which you defer action (copy of ‘Brilliant Email’ or ‘Taking Control of Your Inbox’). It’s that time of year when it’s easy to become complacent and let our email etiquette slip. Coming back from a festive lunch (drink or even dinner) you decide to clear the email backlog and are in a frivolous mood. 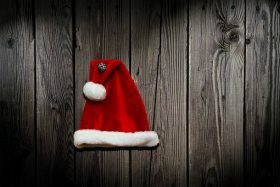 Then there are all those Santa hats and jumpers you wear. To some extent they are OK because they are here today and gone tomorrow and few remembers what you were wearing a week ago. However, like a puppy and kitten, an email is for life despite your best endeavours to recall it! Here are five top tips on business email etiquette to preserve your professional image when all about you are losing their heads. Never email under the influence of drink (before, during or after Christmas) when your judgement and vision could be impaired. Delay sending any emails by two minutes. Either manually save them as drafts or write a rule to delay sending by two minutes. Add a sentence of best wishes, by all means but that’s it. Keep to your usual professional greeting and sign off. Leave all the cosy ones for social emails (eg Hiya, kisses and emoticons). Keep you Out of Office message safe and simple. Give away as little information to prying eyes as possible. Be bold, tell senders that all your emails are being deleted over the festive break and to resend anything important on your return. Be extra vigilant about any unfamiliar emails from both unknown senders and existing contacts where the email has an unusual subject-line/content. They may have been hacked and the hackers are now extending their tentacles. Such unusual emails nearly always are either taking you to bogus websites to capture your personal details or the start of a cyber attack. You might also want to avoid letting colleagues (and friends) post images of you on their social media sites with those fun hats etc. Although you can delete your posts, you do not not have control over other people’s sites. 2018 might be when you look for a new job and recruiters often look in depth at candidates internet foot prints before making a judgement. When colleagues receive 70+ emails per day, what is the most effective business email etiquette to draw their attention to a critical and urgent email? There are several ways such as priority markers and read receipts. Neither are that effective because they can appear rude and annoying, and be overlooked especially as some senders use them for everything. A follow-up phone call? A very good idea but what if the person is out of phone contact. How about sending the email so that the subject-line shows in red in the recipient’s inbox? This is the business email etiquette one client uses and finds it very effective. Here is how it work. To send an email that will appear red in the recipient’s inbox. 2. From the Tags menu block click on Follow Up and select Custom... from the drop down menu. 3. In the Custom dialogue box, click on the Flag For Recipients. Click on Reminder and set the date and time you want the recipient to be reminder. After that date the email turns red. 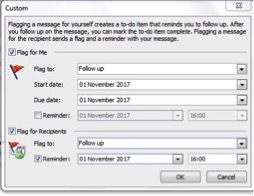 Note – If you include a ‘Flag for Me’ (top half of the dialogue box), the reminder will also show up on your Task List. 4. To make the email Red on receipt, set the reminder date to a date and time in the past (ie before you send it). As with all such attention seeking email etiquette practices, it is vital that you agree whatever process you employ with the other person prior to using it, otherwise you risk coming across as arrogant and too clever by half! What’s your preferred business email etiquette to highlight important emails? To learn more ways like this about how to send emails which attract the recipient’s attention without appearing rude attend on one of our Smart Email Management Masterclasses. These are run in-company as either conventional classroom sessions or webinars. For more information call or email us now.